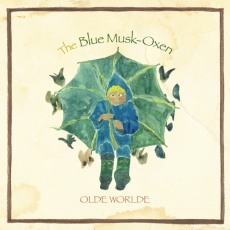 Olde World is the solo project of Japanese musician Sohhei Numata. On this album, he plays drums, guitar, bass, piano, ukelele and moog, and even does the vocals making this a true solo project. The first single to be released from the album is "Stuck in hibernation" - you can watch a lyric video for it below and hear for yourself what the album is like. The songs are all quite light and very melodic. Some are played acoustically while others use electric guitar, but where the songs use electric guitar it's been done nicely so the guitar doesnt overpower the vocals. There is a lot of variety here. Although almost all the songs have a light cheerful summery feel, "No one's gonna be" has a slightly darker richer feel and in some ways reminds me of Enya. Similarly some songs are slow and have simple melodies while others are more complex with a faster pace. It's a very good album, and is perfect to listen to if you're already missing the lovely sunshine we had this summer.